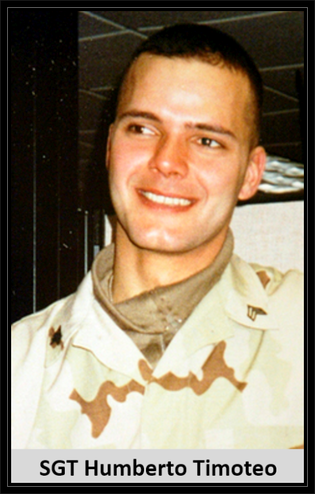 Died: June 5, 2004 in Operation Iraqi Freedom. Unit: Army National Guard, Battery A, 3rd Battalion, 112th Field Artillery, Morristown, NJ. Army Sgt. Humberto F. Timoteo, 25, of Newark, New Jersey. 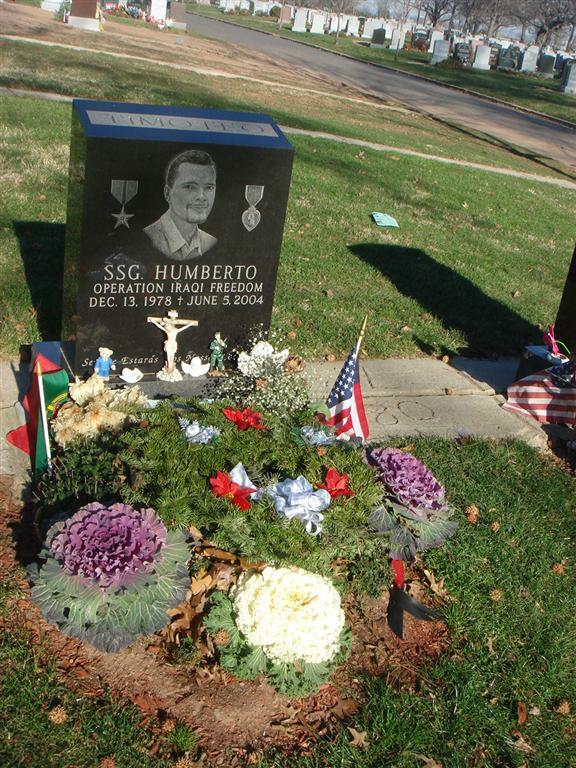 Sgt Timoteo died in Baghdad, Iraq, when his vehicle hit an improvised explosive device. 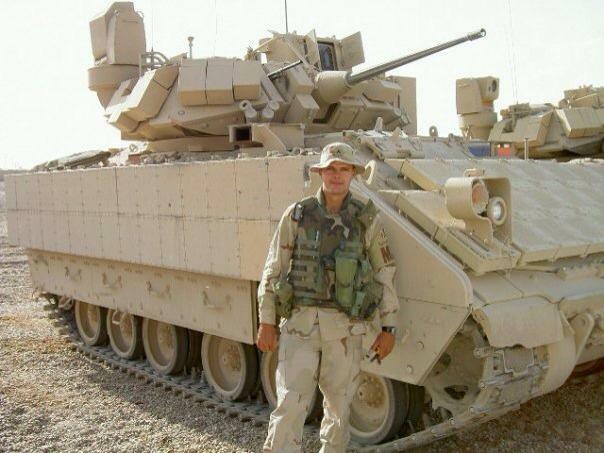 He was assigned to the Army National Guard's Battery A, 3rd Battalion, 112th Field Artillery, Morristown, New Jersey. 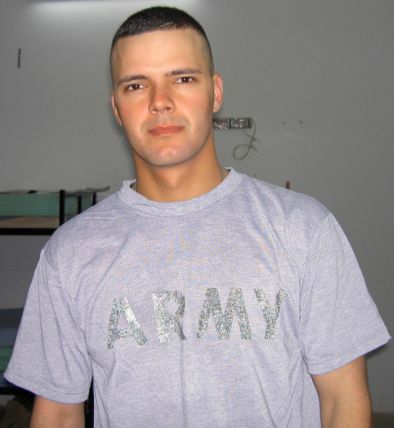 Timoteo’s wife, Army Sgt. Silvia Timoteo, said Tuesday that the risk of death is something anyone assumes on joining the military. Though she said she is heartbroken, Silvia Timoteo said she believes in what her husband was doing. She is mother of a 3-year-old son and is getting an emergency transfer back to the U.S. from Korea, where she had been stationed. “All these soldiers were dedicated to the service of their country and the state,” said Lt. Col. Robert Schofield, commander of the battalion. Newark Mayor Sharpe James told The Star-Ledger of Newark that Timoteo had emigrated with his family from Portugal and grew up in the city’s Ironbound section. 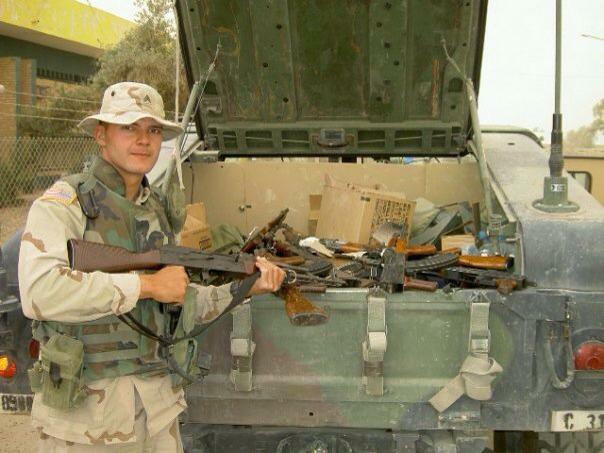 Timoteo joined the military in 1996 and trained as a field artilleryman at Fort Sill, Okla., according to DoD records. The flag of the United States of America and the flag of the State of New Jersey shall be flown at half-staff at all State departments, offices, agencies and instrumentalities during appropriate hours on Monday, June 14, 2004, in recognition and mourning of New Jersey Army National Guard Sergeant Humberto F. Timoteo. States, the Two Hundred and Twenty-Eighth.